I was a little taken aback when I heard Singapore mentioned again on The Daily Show last month. Produced in New York, The Daily Show is a US satirical news show on Comedy Central. On Dec 6, comedian John Hodgman appeared on the show as the “resident deranged millionaire” to say farewell as rich people like him were leaving New York for "brighter shores". He neglected to mention that rich white guys like him will also get a chance to hook up with our former Miss Singapore Universes. 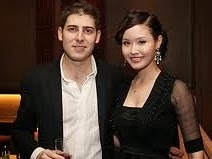 For example, billionaire Facebook co-founder Eduardo Saverin, who moved from the US to Singapore in 2009, has been seen with former Miss Singapore Universe Rachel Kum. Just make sure that it’s really a former Miss Singapore Universe and not some ladyboy. Yes, I know that with a few of our former Miss Singapore Universes (like, say, Miss Singapore Universe 2003 Bernice Wong), it may be a little hard to tell. That is, of course, only a joke and not true. I mean, the part about Singapore letting the rich hunt the homeless. Wait, isn’t that just the plot from the 90s movie Hard Target starring Mr Epic Split himself, Jean-Claude Van Damme? But then I don’t recall seeing any homeless people around my area lately. Perhaps I’m just not rich enough to be invited for such rich people recreation. I have enough trouble understanding polo. I just wear the shirts. But if the sport of hunting the homeless is allowed in Singapore, one suspects that rich white guy and former Crossinvest Asia wealth manager Anton Casey would’ve been among the first to sign up for a safari. 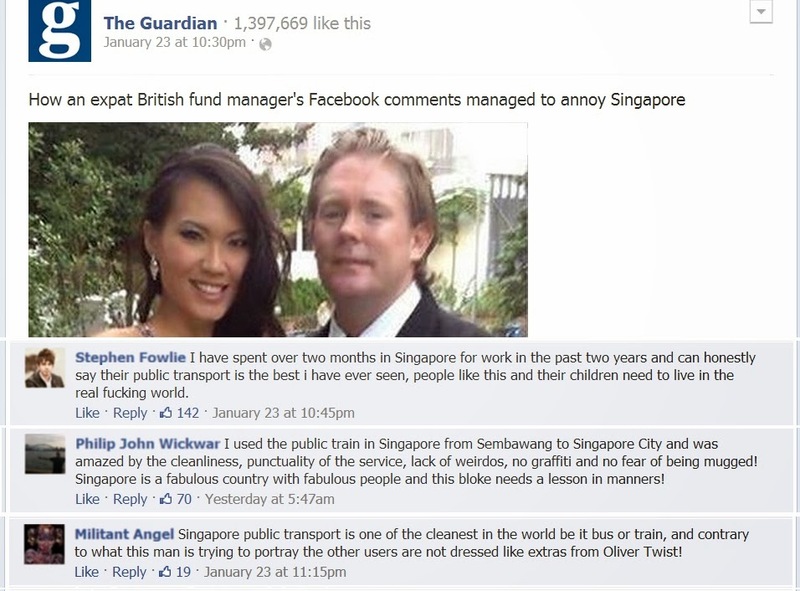 I say this because the British expat has an apparent distaste for the un-deodourised poor people in Singapore, judging by a couple of widely circulated Facebook posts for which he has been vilified. 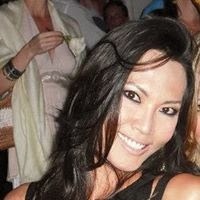 Mr Casey (who is married to Miss Singapore Universe 2003 Bernice Wong and not a ladyboy) has since apologised. But it appears that for many Singaporeans, including Law Minister K. Shanmugam, sorry no enough. Mostly because the apology seems insincere as it was made through a public relations (PR) company. Ironically, Mr Casey hired the PR company to make sure he gets the apology right only to get the apology wrong because he hired a PR company to make the apology. Another irony is that he hired a PR company probably because he's so rich that he could afford to do so. Void deck wedding critic Amy Cheong didn’t hire a PR company. Neither did Miss Stephanie Koh, star of the Why I’m Not Proud To Be Singaporean viral video. In this case, Mr Casey would’ve been better off if he wasn’t so rich. But then if he wasn’t so rich, he wouldn’t be in this mess in the first place. Or maybe Mr Casey just hired the wrong PR company. He should’ve hired whatever PR company that Member of Parliament for Tampines Baey Yam Keng is senior advisor for. Just last month, Mr Baey was himself vilified online for his $2.50 nasi padang so he can easily empathise with Mr Casey. 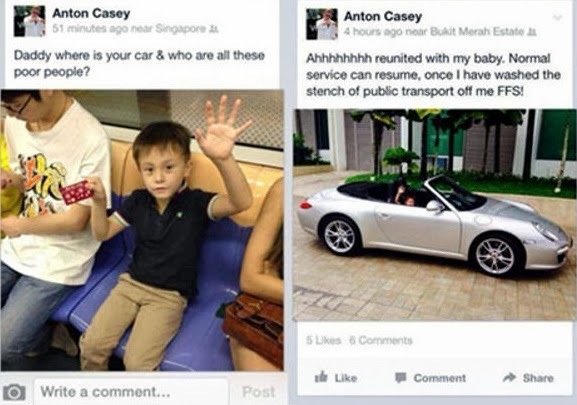 But unlike Mr Casey, Mr Baey hasn't been asked to leave Singapore by Tay Ping Hui. Plus I don’t think Mr Baey ever apologised for his $2.50 nasi padang. Not that he should. Every controversy eventually blows over in a week or two. Apologising (through a PR company or otherwise) rarely makes it go away sooner. It’s like the teacher who apologised too quickly to the schoolboy for shouting at him in the classroom video that went viral last week. The boy continued shouting back at the teacher until the boy got it out of his system. Similarly, each online controversy has to go through the two-week life cycle for “netizens” to get it out of their system. The trick is to batten down the hatches and weather the online abuse and death threats for those two weeks – and hope you don’t lose your job. A new controversy will inevitably come along and lure the haters away to their next target. Or if you’re a foreigner like Mr Casey, I guess fleeing the country is another option. But you know what’s the greatest irony of all? Despite the constant service lapses and the recently announced fare hike, by mocking public transport users, Mr Casey actually got people to defend our public transport system last week. 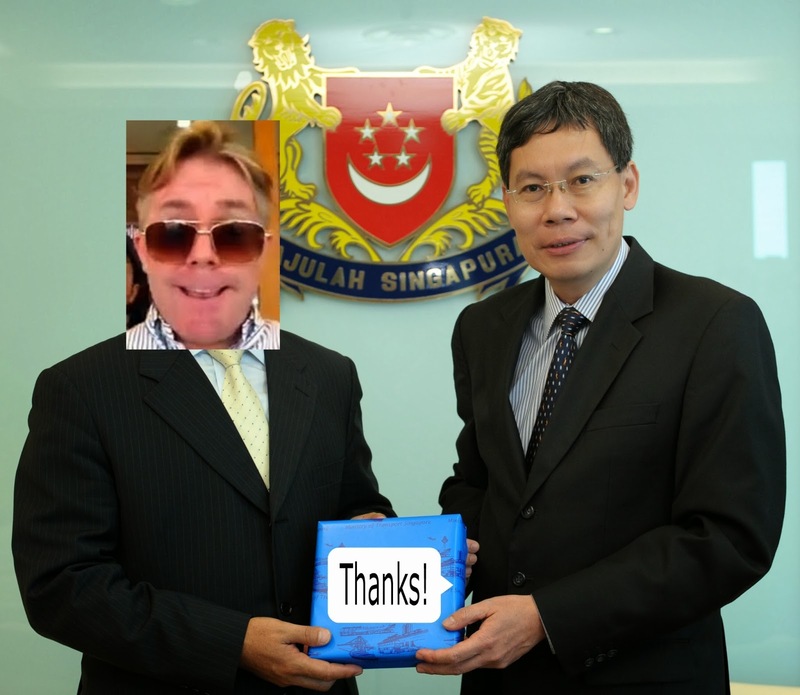 Transport Minister Lui Tuck Yew should give Mr Casey a hongbao. Or at least invite him back to hunt the homeless. I understand that they have been spotted at East Coast Park. Van Damme can come along too. UPDATE: Will there be a backlash against the backlash against the backlash against the backlash against Anton Casey?